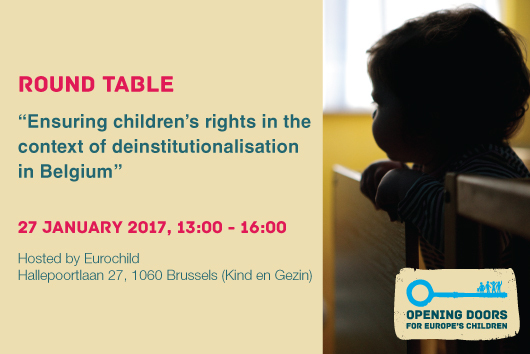 The event will bring together key national and EU level stakeholders from the children’s rights and disability rights movements. It will initiate discussions on what does deinstitutionalisation (DI) in a Belgian context mean and what are the experiences on DI in relation to protection of children’s rights in Belgium. The aim of the round table is to start a dialogue on possibilities for future collaboration among actors in the children’s rights, anti-poverty, and disability rights movements. Click here to see the round table agenda.